Clara Maria is a cheese farm and clog making demonstration just outside of Amsterdam that completely charmed us. Jeff and I are not fans of the touristy stops (like Zaanse Schans) when we’ve been able to find so many authentic experiences in the Netherlands. When I kept being asked about Clara Maria by readers, I knew I had to go check it out myself. Jeff and I popped into Clara Maria one afternoon in the summer while the Big Little was at summer camp. We were hot-wired to write the place off as a tourist trap, but instead found that while it caters to tourists it oozes the charm we felt Zaanse Schans lacked and provides a real Dutch experience. 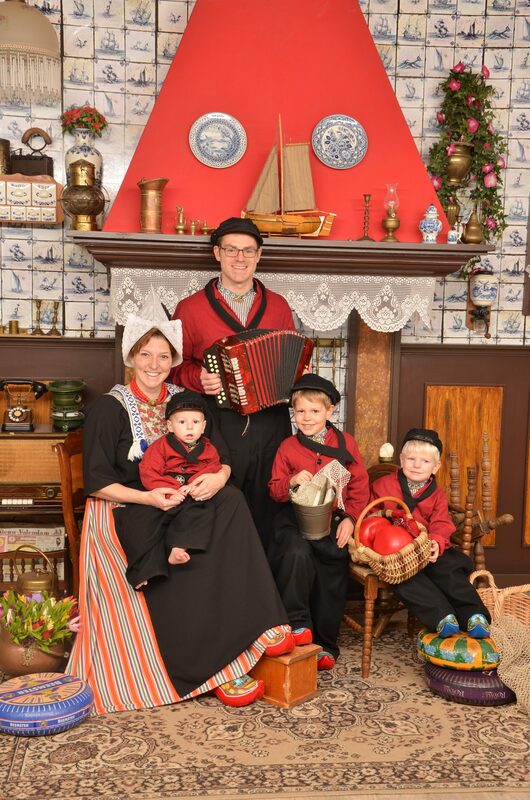 (Read about our visit to Zaanse Schans.) Jeff’s Dutch coworkers say we’ve seen more of the Netherlands than most Dutch people, so we have a bit of street cred when evaluating Dutchiness. The farmhouse itself is as authentic as they come. It is 160 years old and sits on a polder. The farm is full of goats and cows that you can visit, something common on Dutch farms. The visit is a bit touristy, but it caters to the crowd stopping by. You start your visit in the clog making shop where they show you how a clog is made. They churn a clog or two out right in front of you. It’s really impressive. You can purchase any sort of clog you want. They have every size and color and can even customize them. As “locals” we have a clog guy on market days that can make these sorts of souvenirs, but not for the price and extent available here. Then you head into the cheese part of the tour. The cheese making is the same you’ll see at any other farm around the Netherlands. Clara Maria is set up to show you exactly how it is done any day you drop by. They also have everything out for you to taste. You can also taste cheese at any market in the Netherlands, but the experience is a bit more chaotic when locals are waiting for you. At the end of the day though it’s the approach-ability that makes Clara Maria a winner. We received the same experience we get in the local Dutch markets at Clara Maria. At Clara Maria the experience is easily done in English and you won’t stand out or feel like you are wasting someone’s time with your questions. Most of all, Clara Maria is run by kindhearted, passionate people who care about the business. I think there is real value to heading here and seeing how cheese and clog craftsmanship work.